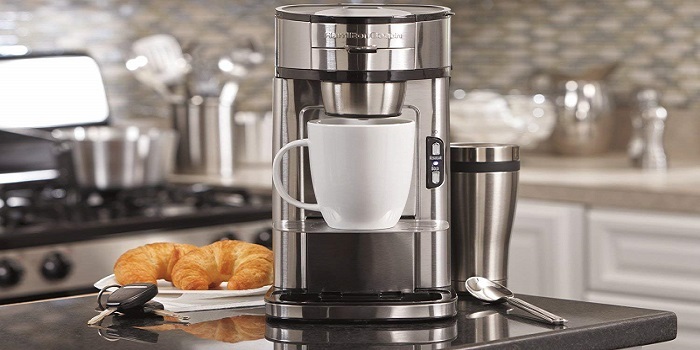 Looking for a good coffee maker can be a daunting task especially if your budget is under $50. 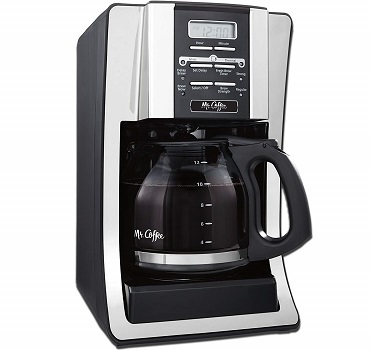 Mr. Coffee BVMC-SJX33GT-AM brings style, taste, and functionality together to create a rich blend that you'll savor for years to come. 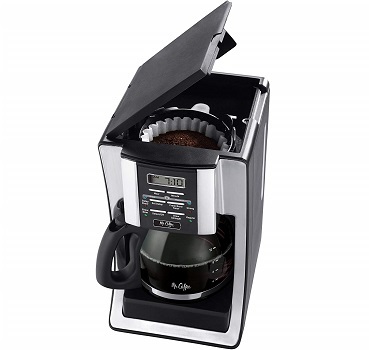 It features plenty of programmable options, like Delay Brew for coffee when you want it, or Brew Strength Selector to produce a bolder, richer taste. 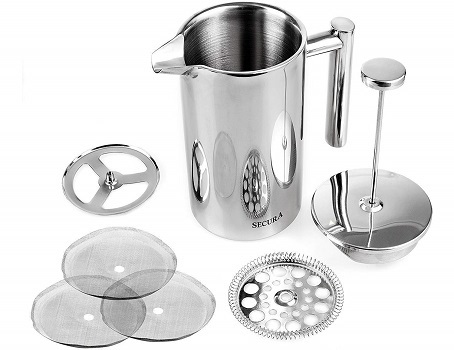 Hamilton Beach 49981A is a sleek single serve brewer that features a stainless steel scoop that doubles as a doser and filter basket. 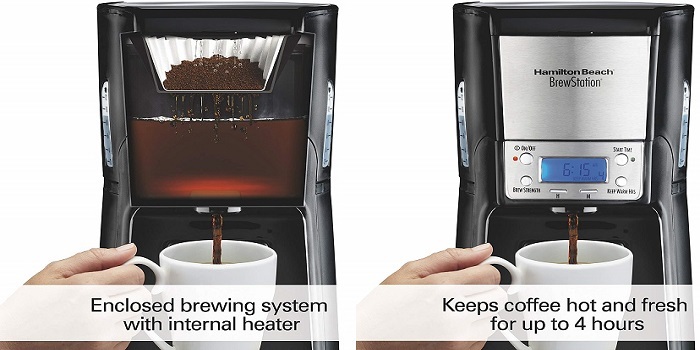 Just scoop your coffee, insert it directly into the machine, and begin to brew. 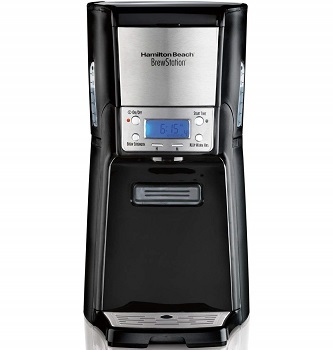 From here, the HB Scoop promises to deliver a hot cup of coffee in under 2 minutes. • Adjustable tray to fit different mug sizes. • Susceptible to overflowing coffee. 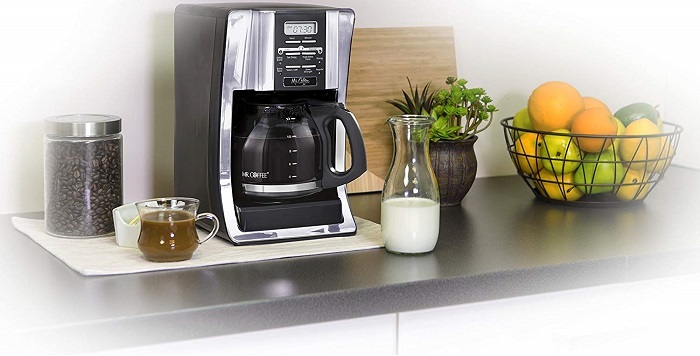 • Coffee splatters if the mug is too far under the brew head. 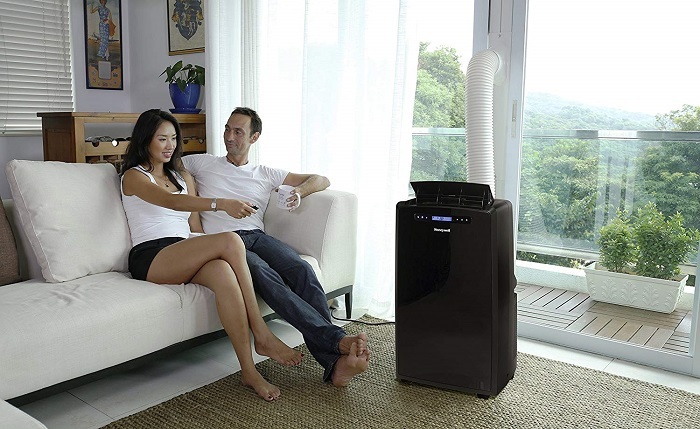 • No reservoir so you need to heat and brew each cup of coffee separately. • Filter doesn't do a great job at keeping sediment/coffee sludge out of your mug. 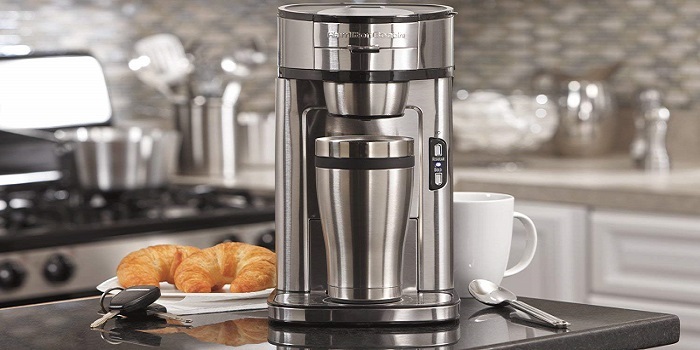 Hamilton Beach 48464 will make your last cup taste just as fresh as the first while the internal heater keeps coffee at the perfect temperature for up to 4 hours. The BrewStation lets you customize your cup with brewing options like bold, regular, small batches and even iced coffee. 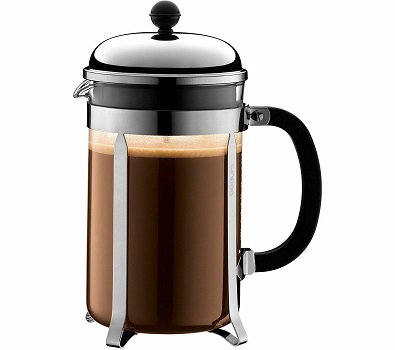 Bodum Chambord comes with materials (glass and stainless steel) which are completely taste-free so nothing comes between your ground coffee beans. • No paper filter means no waste. • The plunging mechanism tends to be wobbly, sometimes going down unevenly. Secura FP-34DS comes with double-wall construction which is more efficient to retain heat comparing to single wall construction. • Filter screen is easy to dissemble. • The finish by the handle and the press being hard to push down. 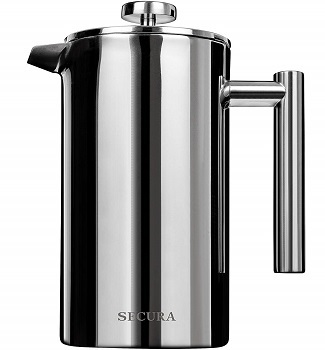 • Cool touch handle and knob for comfortable and safe pouring.